We should read best books if we have the desire to crack the next exam in 2018. Before the planning of exam preparation, first things come in mind of every student onset of your examination is the study material. What NEET books you should be preferred and how you learn all the concept. We no need to spend our more time with books we should read the books in a conceptual way then solve more practice question paper. May this post will help you will go the right direction to get success in your NEET carrier. How to utilize NEET books to your advantage? 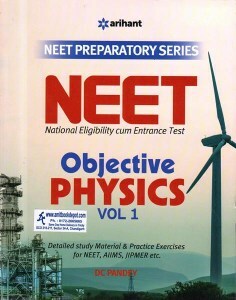 Every student appearing in the NEET examination to read the NEET books in a conceptual way topic to topic. When we studying on that time underline the concept and fact to making the good quality note is recommended.it will add to your knowledge rather than the focus on too many books. Just go some best quality NEET books and prepare them well. Once you have start preparation then no need to create the gap between your studies. The study in continue flow maintains the consistency it will affect your preparation. Start practicing mock test through the mock test you can test your knowledge. 1. Start preparation with NCERT NEET books and then move on the others. 2. Follow the NCERT books as well as the reference NEET books. 3. No matter how much syllabus, do not include selective study. 4. Solve many mock tests as you can. 5. Give yourself proper time to evaluate your performance in the end. What Strategy we should follow for reading NEET books. To win any race, a student needs a proper strategy because with strategic planning one can complete all aspects of all syllabus related to exams. If he is leaving any aspect of syllabus it may possible that part will come in excess in the main examination. So a student cannot take risk of escaping that part. He needs to manage time with pressure also. Sometimes Tension may arise in which it may be of two types Positive Tension and Negative Tension. Positive Tension always suppresses you to achieve your Goals and Pass the examination with good marks or to qualify it to get admission, on the other hand, Negative Tension always fills you with more pressure, in this condition, you cannot handle the pressure or you may go in depression that leads to your failure. Time Management is the very crucial phase of any strategy but if you are managing it with your intelligence then I am sure you would perform better. Divide the syllabus into tasks so that you can complete syllabus in a strategic manner. Fill time management with some sort of entertainment in between to make you feel comfortable. National Testing Agency will conduct the JEE Main 2019 from 6th-20th January 2019. NTA JEE Main 2019 Application form released on 1st September 2018. JEE Main Exam dates 2019 has been announced on the official website of NTA i.e. nta.ac.in.